A USB flash drives stores all the data in its memory similar to a hard drive. The operating system can later on fetch this data when required to be accessed. There can be various issues that may turn your USB drive data inaccessible such as if the drive is unmounted improperly from the port then it can lead to data corruption. Another reason for the stored data corruption can be invalid data in the Master Boot Record (MBR) or Partition Boot Record (PBR) or directory structure on the USB drive. There can be various other reasons also that may make your USB corrupt or unresponsive. This may happen either due to logical corruption or physical corruption. Some common physical corruption issues are broken stems and connectors, dead drives (no power supply), broken circuit or NAND gate, not recognised, RAW, need to format, not accessible, and Dead Drives, etc. How to Recover Data From an Inaccessible USB Drive? To recover data from an inaccessible USB or Flash drive, first, you must be able to identify the exact reason leading to the problem while reading the USB drive. 1. Recovering Files from Logical Issues. If there are some logical/software errors with the USB drive, you can easily fix it. You need to repair the file structure so that the USB flash drive can be used again. Right-click the icon of the USB flash drive and “Eject”. Then remove the drive from the USB port. Hopefully, this would help you solve the problem else you can try recovering your USB data using a professional usb drive data recovery tool. Most USB data loss issues can be solved by using a professional USB flash drive data recovery software. You can free download such program and install it on your PC to begin scanning the device and recover data. 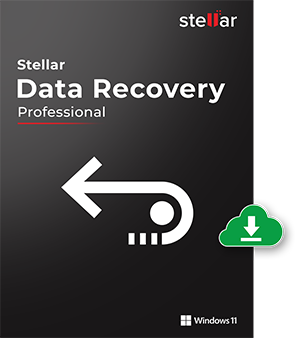 Try Stellar Data Recovery Professional for Windows that supports scanning of large capacity USB drives and traces inaccessible or formatted files with their attributes and size intact. How to Recover Data From a Corrupt or Inaccessible USB Drive with Stellar Data Recovery Professional for Windows? 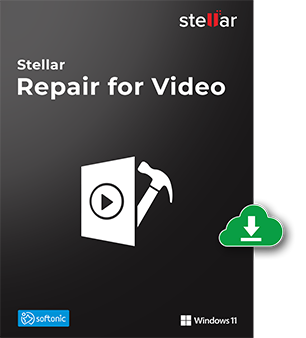 Install and use Stellar Data Recovery Professional for Windows as explained in the video below. 2. Recovering Files from Physical Issues. If you have a physical error such as a broken connector, circuit board, NAND memory chip of the drive, then the hardware needs to be replaced or repaired. Doing-it-yourself can lead to even worse situations. Better you get help from the experts in this area. You can hire any trusted data recovery company like Stellar Data Recovery who are specialized in recovering data from a physically damaged USB drive. Below we have mentioned solutions to some common causes of physical issues with your USB drive. A common indication of the physical errors is some kinds of error messages or troubles that you see after connecting the USB. Common error messages are “Please Insert Disk into Removable Disk” or “USB Device Not Recognized or Malfunctioned”, “you need to format the disk before using it”, RAW partition, dead or unresponsive drives, and damaged controller chips and/or circuit boards. If the silver USB connector is broken or the circuit board is damaged it leads to power supply cut-off to the USB. In such case, soldering and circuit repair is required. It’s not advised to do it yourself as if anything goes wrong, you may permanently lose access to your USB and also it’ll reduce the chances of getting your data successfully recovered or sometimes impossible. To deal with above physical errors, specialized equipment and expertise are required. So better you hand over it to some professional and let him deal with the chaos. This error occurs when the flash drive controller software becomes corrupt. It can also happen if there are some issues with the NAND memory. The above error can be caused by low grade or generic NAND memory chips. With a frequent number of reads and writes, the state of the drive turns worse. The error indicates that there is some issue with the NAND memory chips. Most probably the metadata stored in the NAND memory is corrupted or wiped and it can’t be mounted then, thus turning the drive unreadable. Whenever you try to read the drive, you will get the error message “Please insert a disk into Removable Disk”. Also, if you try to check the drive size, it usually shows its capacity as 0 MB. As the device cannot be mounted on windows, if you check Device Manager under Disk drives, a different name for the USB drive will be listed. Also, the Disk Management shows a drive letter with No Media. In such case, you need to search for manufacturers that perform USB data recovery or flash drive data recovery. You may not be able to use your USB drive because of some problems with the USB port, not with the USB drive. So, before performing any repair of the USB drive also make sure that the USB port is working fine. To test the USB Port remove the USB drive, reboot your computer, and test the USB drive again. See if it works. It is possible that one port may not be working but all others are working fine. So try each port of your computer. If this doesn’t help, try the USB drive on some other computer. Sometimes, the Installed copy of Windows OS may not be able to recognize your USB drive due to some USB version limitations. Go to Start> Control Panel> Device Manager. You can see a down facing arrow over your USB drive. Double click it and choose the option to “Enable Device“. Go to Start>Control Panel>System and Security>Administrative Tools then choose “Computer Management”. Right, click the USB drive. Select the option to “Change Drive Letter and Paths”. Right, click the USB to designate it as “Online”. If this fails, Windows automated “Fix it For Me” service can resolve the issue. If this also doesn’t help, then modifying the system registry will help you tackle the issue. We wouldn’t suggest you go for this option as it may harm your OS. A USB Drive can become corrupt or unresponsive by any way of Logical or Physical issues. 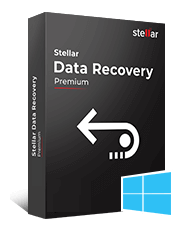 However, you can always securely use a professional USB data recovery tool like Stellar Data Recovery Professional for Windows to recover files after your USB Drive becomes Corrupt or Unresponsive. my pen drive not working and showing below sg. 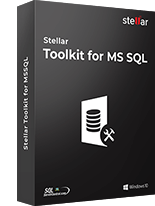 In this case, we recommend installing the Stellar Data Recovery Professional software. After installing the software, choose the data which you want to recover, after that kindly perform “Can’t Find Drive” option to locate deleted/last formatted partition of the storage device. Once the partitions are located then you can scan these partitions and recover the desired data. Hi, I have tried the above-mentioned steps to repair the corrupt USB flash drive. The steps really helps me in recovering my lost files. After plugging the pen drive in the device, go to Device Manager (In run type “devmgmt.msc”). In the Device Manager, go to “Universal serial bus controllers”. It should list the storage devices that you have connected to your PC. Right click on it and then click “Uninstall. Remove the pen drive and restart your system. Try connecting the device again. I think this should solve the problem. 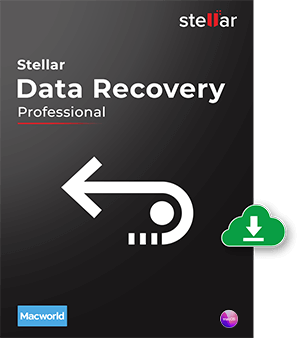 We recommend you to try the demo version of Stellar Data Recovery Professional. 1. 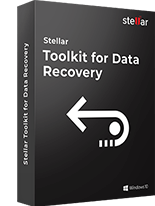 Run Stellar Windows Data Recovery. 2. From Select What to Recover screen, select the type of data i.e. 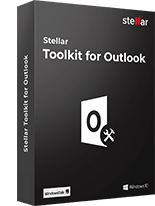 Everything, Documents, Folders & Emails or Multimedia Files, you want to recover. 5. Now click on ‘Scan’ button. 6. In the Select Drive section, all the hard drives connected to the system are listed with their details. From this section, choose a hard drive you want to scan for lost partitions and click Search. A scan for lost or deleted partitions will be performed in the selected disk or drive. 7. Any ‘lost partition’ detected, will be listed in the Partition Found section. 8. From the list of partitions found, select any desired partition and click Scan to continue with the recovery process. Note: If you can’t find your desired partition in the Partition Found section, you can choose Deep Scan option to perform a comprehensive scan of the selected drive for deleted or lost partition. I did all the steps described here above but my Kingston DataTravaller 3.0 USB flash drive of 64GB, formatted NTFS wasn’t detected. In device manager on whatever USB port I insert the stick it will appear as “USB Mass Storage Device” with an yellow triangle with an exclamation mark. There any chances to recover my data in a structured way (files & directory)? I had really important and uniqe data, gathered in time. Exist by any means the possibility to recover them like it was before or even partial? It was detected in a USB port & scanned by Win 10 Pro and “repaired” at a boot time, but I suppose that it’s chkdsk /F didn’t repaired correctly anything but formatted it, but I don’t understand why it will now didn’t see it. 4. On Select Location screen, select Can’t Find Drive from Other Locations. 5. Click on ‘Scan’ button. 6. In the Select Drive section all the hard drives connected to the system are listed with their details. From this section, choose a hard drive you want to scan for lost partitions and click Search. A scan for lost or deleted partitions will be performed in the selected disk or drive. 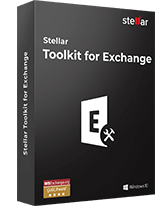 I’m a student with limited financial resources, and I lost my files, which is very important and found this software very useful. However, to use it, it requires me to buy the full feature, in which i hardly can’t afford. hoping to have a free version for students like me. thanks.. as for the application, it is very useful and i thoroughly recommend it. Sorry to hear that you lost your important files. 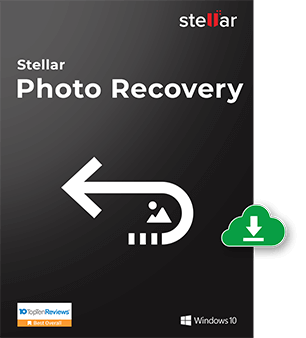 You can try Stellar Data Recovery – Free Edition software to recover upto 1GB of lost/deleted files. I found Stellar Data Recovery after having lost about 6 hours worth of my chemistry lab when my flash drive failed. Kept giving the prompt “this disk needs to be formatted” and nothing was showing in the hard drive at all. I got my files back completely. I highly recommend and thanks for the tip. You know so much its almost hard to argue with you. Hi My flash drive automatically corrupt any file sent to it, mostly movies. As per this query the USB is corrupted. We would recommend to recover the data and try to check for the preview of these files. This software will assist to recover the Video Files and repair them also if they are corrupted due to corruption if the USB stick.